As we’ve seen in Part I of this post, it’s not unusual to see two movies being made and released at the same time with essentially the same plot. Whether it’s a case of Hollywood executives being lazy, unimaginative, or flat out stealing the ideas of their competitors, it happens more often than you think. Here are five more Implausibly Identical Movies of All Time. He’s smiling cos he just saw EDtv’s box office takings. A reality show following Matthew McConaughey? Spoiler alert: it features a lot of shirtless torsos. It’s hard to imagine, but once upon a time there was no such thing as people willingly and enthusiastically stripping themselves of their dignity on camera, but then the late ‘90s came and with it a real surge of reality TV as a viable genre. Fifteen years later and it seems as though that’s all there is. It’s no surprise, then, that at the end of that decade, two movies came out exploring the world of reality TV: The Truman Show and EDtv. Both films are centred on TV shows that follow the lives of an ordinary person, Truman Burbank (Jim Carrey) and Ed Pekurny (Matthew McConaughey) respectively. The movies take a look at the ‘behind the scenes’ goings on of making the shows, but focus more on the impact the shows have on their ‘stars’. Of course the big difference between the films is that the Ed Pekurny signed up to being on a reality TV show voluntarily, whereas Truman was born into one and remains oblivious until a mid life crisis causes him to start questioning his life. Actually, there’s another big difference. The Truman Show was almost universally acclaimed by audiences and critics alike, whereas EDtv’s critical reception was lukewarm and its box office takings were atrocious. Winner: This one’s easy. 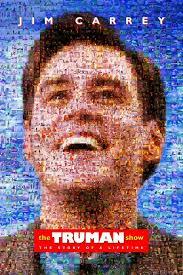 It’s a case of good afternoon, good evening and goodnight to EDtv, as The Truman Show is the clear winner. 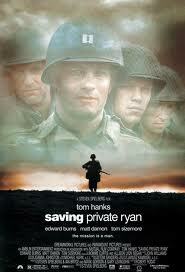 Not as good a poster as the one for ‘Shaving Ryan’s Privates’. The best damn army of one-eyed soldiers ever. In a slight change of pace, 1998 also saw two of the grittiest and most realistic World War II movies to hit the screen, Saving Private Ryan and The Thin Red Line. Boasting great ensemble casts lead by Tom Hanks and Matt Damon, and Sean Penn and Adrien Brody, the films were bloody, dirty, and painted an intense picture of war. Both films were critically acclaimed, being nominated for (and winning) a swag of awards, and receiving positive reviews. However, even though some would argue it was more powerful and pulled less punches, The Thin Red Line received less attention than its counterpart and underachieved at the box office, whereas Saving Private Ryan treated the box office like an enemy soldier and blew it up, raking in almost half a billion dollars world wide. Perhaps not having a big name director like Spielberg at the helm hurt, or maybe audiences had World War II fatigue by the time it was released. 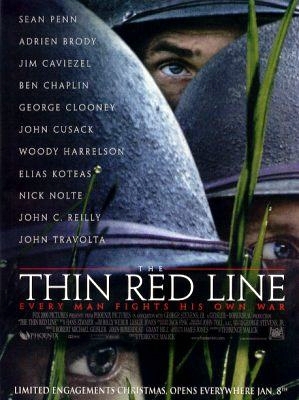 Either way, when listing the greatest war movies of all time today, Saving Private Ryan is almost mentioned, whereas The Thin Red Line is often overlooked. My god. Even the poster is boring. Neither gritty, nor realistic, and definitely not a box office success is this pair of flicks. Chasing Liberty is a film starring Mandy Moore as the daughter of the President of the United States of America. Sick of the fact that a swarm of secret service agents are constantly watching her, she sees a trip to Europe as a chance to break free and she rebels, falling in love with a handsome stranger. In a twist I’m sure no one saw coming, it turns out the handsome stranger is in fact a secret service agent. Who would have thought! Chasing Liberty was well and truly a flop. It barely recovered half of its meager $23 million budget, earning $12.2 million dollars in the US and an atrocious $117,697 in foreign revenue. So what was Hollywood’s response to this epic failure? To release an exact duplicate later that same year. Let’s see if any of this sounds familiar. First Daughter stars Katie Holmes as the daughter of the President of the United States of America. Sick of the fact that a swarm of secret service agents are constantly watching her, she sees a trip to college as a chance to break free and she rebels, falling in love with a handsome classmate. I bet you can’t guess the twist. Yep! It turns out the handsome classmate is in fact a secret service agent. How did you know?! The other thing that First Daughter has in common with Chasing Liberty (which, by the way, had the working title of ‘First Daughter’ until right before its release) is that it bombed in every way possible. Its Rotten Tomatoes score was a putrid 8%, and it also barely managed to scrape in half its budget. The people have spoken, and they want Mandy Moore and Katie Holmes out of the White House. Immediately. And preferably with extreme prejudice. Most critics would’ve preferred the bullet. 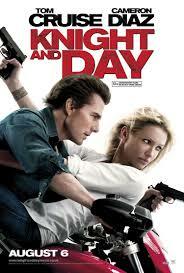 Why is this film even called Knight and Day? The characters’ names are Miller and Havens. Don’t they know how movie puns work?!? Sheesh. Released within a couple of weeks of each other, Killers and Knight and Day are action-comedies revolving around a woman falling for a man, only to find that he kills people for a living, and then the couple subsequently having to rely on each other to survive enemy threats. In fairness, there are some differences. In Killers, the lead (Ashton Kutcher) is an assassin, while in Knight and Day, Tom Cruise is just a plain ol’ spy. Also, Kutcher is married to Katherine Heigl for three years before the action really kicks in, whereas Cameron Diaz only just meets Cruise when hell breaks loose. Still, no one needs to see two movies about a professional tough guy and his unsuspecting love interest traipsing around twice in one year, let alone one month. 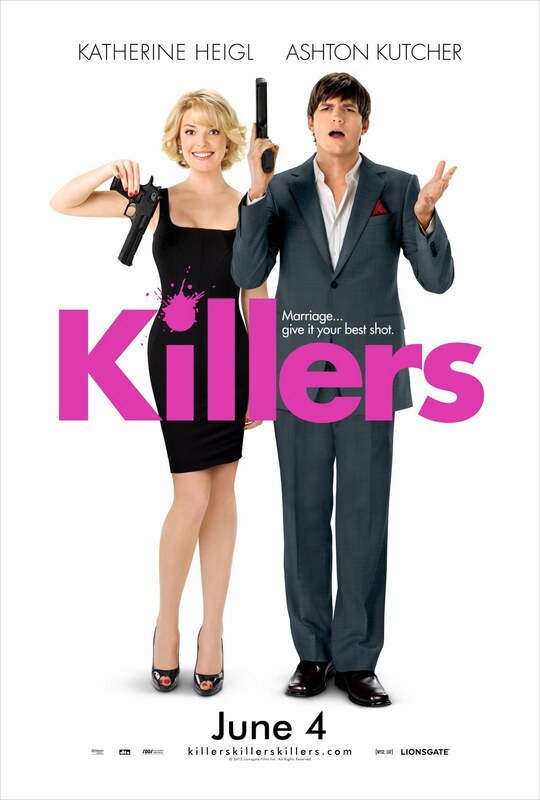 Killers was killed by critics, and Knight and Day was seen as decidedly ordinary. One thing is for sure though: Cruise and Diaz pull audiences a lot better than Kutcher and Heigl do, as evidenced by the stark difference in box office takings. Winner: Knight and Day, with one shot to the head of Killers, and one to the heart. That’s just being professional. Released three months apart to the day, K9 and Turner & Hooch are your typical ‘80s buddy cop action comedies with one notable difference: in each film one of the buddy cops is a dog. That notable difference is what makes these two films a clear example of movie doppelganging. Two different people suddenly came up with that idea independently at the exact same time? Puh-lease. 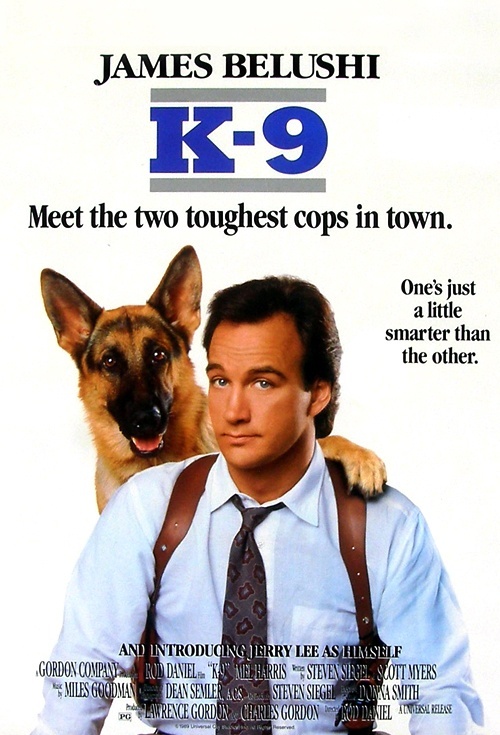 The main variance between the two is that the canine in K9, Jerry Lee, is a drug-sniffer police dog given to Jim Belushi to help him stop a drug warlord who plans on killing him, whereas Hooch is a dog taken in by Tom Hanks after its owner is murdered, Hanks hoping Hooch will help him find the killer. Otherwise it’s pretty similar stuff: the dogs test their partners’ patience, spend more time getting up to hijinks than helping, but ultimately contribute to saving the day in an adorable manner. Both films did fairly well at the box office, although K9 clearly had the poorer reviews. 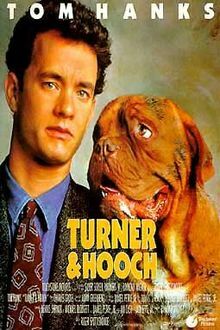 Winner: Turner & Hooch. When it comes to choosing between Hanks and a Dogue de Bordeaux, and Belushi and a German Shepard, I’m choosing the former. Although I’d probably choose both over Kutcher and Heigl. And definitely over the President’s daughter, no matter who was involved.